Flt Lt Sidney N. 'Pebbler' Webster, c1927. Walsall’s history is occasionally illuminated by the remarkable stories of individuals from the town. One such is Flight Lieutenant Webster of the Royal Air Force, who deserves to be known today as Walsall’s greatest aviator. His fame, though forgotten by most locally, has spread world-wide, albeit it he is best known today by aviation enthusiasts and historians. 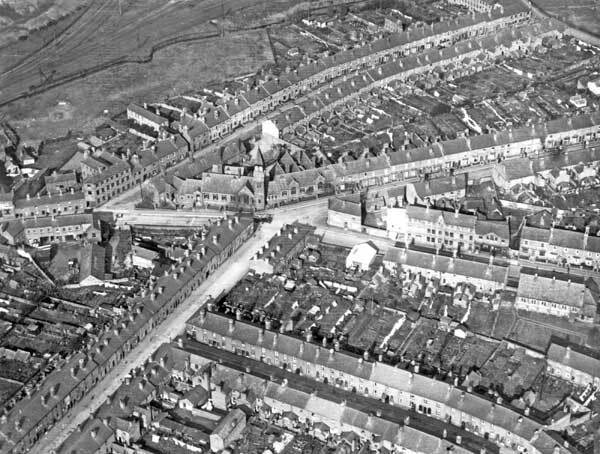 Born at 41 Borneo Street, Walsall, an ordinary Victorian terrace house, on 9 March 1900, Sidney Norman Webster was a fine student, educated at the old Chuckery Senior (1911-1914) and Butts Schools. A good all round sportsman, he played football for the Walsall Schoolboy Association team and was captain of the Chuckery School First XI, also playing cricket for Walsall. Yet few could have predicted his even more amazing achievements to come, when he would take to the air in the service of his country. Webster, a handsome young lad and a bit of a daredevil who received the nickname ‘Pebbler’ due to his cheery freckled features, left school shortly before the Great War. He first worked as a junior railway clerk, then in the office of S.E. Loxton, solicitor and Clerk to the Magistrates until, aged 17, he joined the Royal Air Force on 1 April 1918. 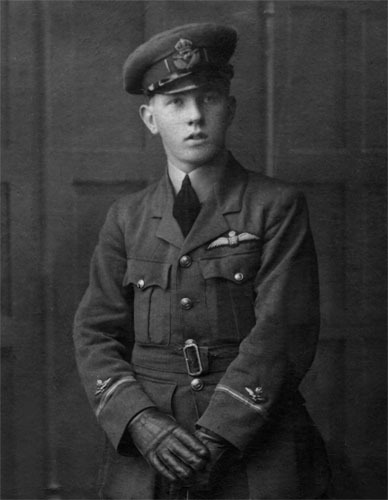 Thanks to six months of hard training and his go-ahead attitude, on 27 September 1918 Webster was commissioned as an officer, of the rank of 2nd Lieutenant (Pilot). His first tour of duty was as a Flying Officer in India, where in 1922 he was awarded the Air Force Cross for a record endurance flight. Returning to England, Webster became a test pilot at the Marine Aircraft Experimental Establishment. On 21 May 1924 he was promoted to Flight Lieutenant and in April 1927 was selected for the new High Speed Flight formed at Felixstowe to provide aircraft and crew for the Schneider Trophy contests. Started in 1913 by French industrialist Jacques Schneider, the Schneider Trophy series were the greatest seaplane races ever held. The trophy was a spectacular work of art costing 25,000 francs. 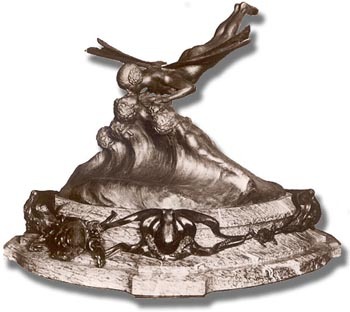 The 1927 Schneider Trophy race was held over 218 miles at The Lido, Venice, Italy on 26 September. 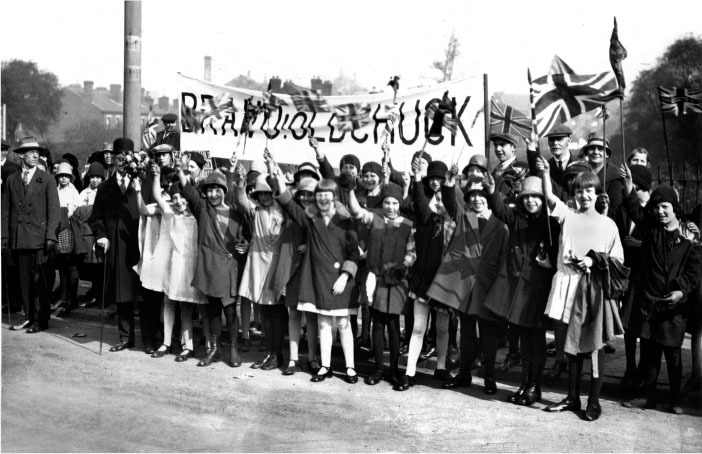 Great Britain, Italy and the U.S.A. entered, but the greatest competition was between arch rivals Italy and Britain. The R.A.F. team’s aircraft included two Supermarine S5’s, a Gloster IVB and a Bristol Crusader. One of the S5’s was in the skilled hands of Flight Lieutenant ‘Pebbler’ Webster. 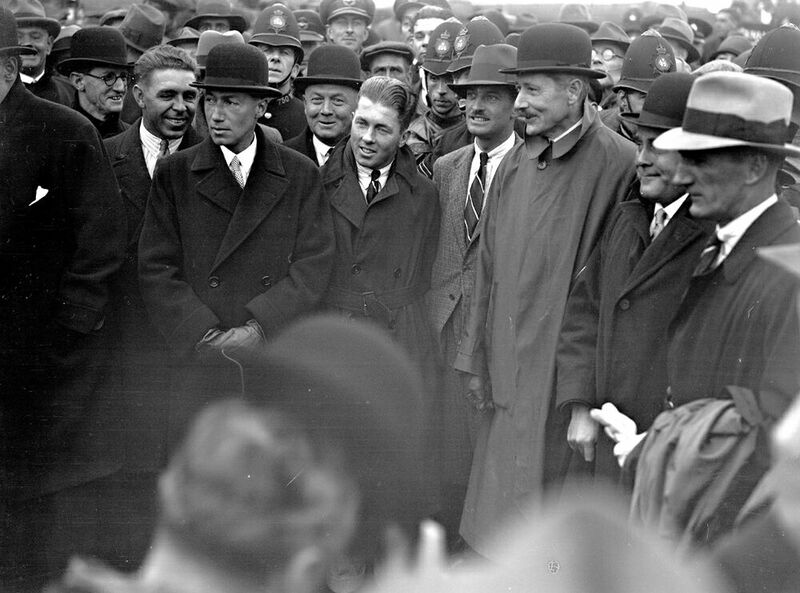 'Pebbler' Webster (top, rear) with R.J. Mitchell (centre) and his Supermarine team at Supermarine's Woolston factory, 1927. 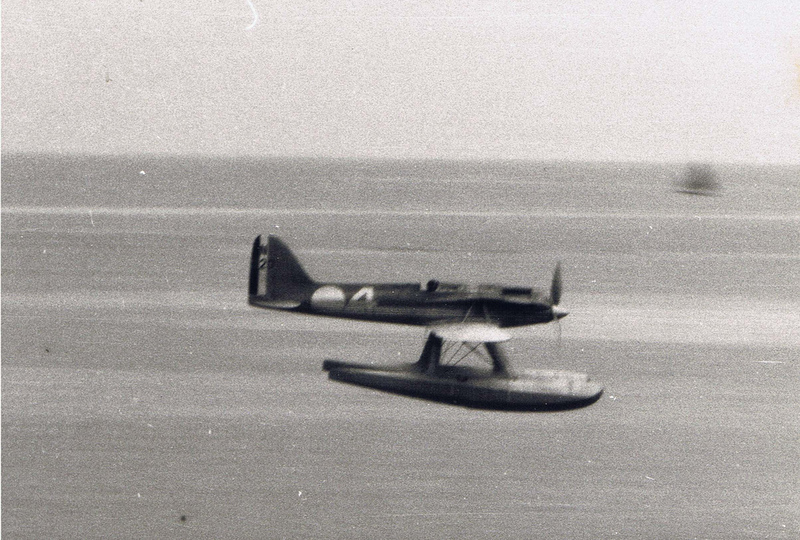 The Supermarine seaplanes were specially designed by Staffordshire engineer R. J. Mitchell for the Schneider races and were the basis for his famous WWII fighter, the Spitfire.Thanks to him and his skilled Supermarine team, Webster had the best aeroplane for the job – defeating the competition, and proving the technology! 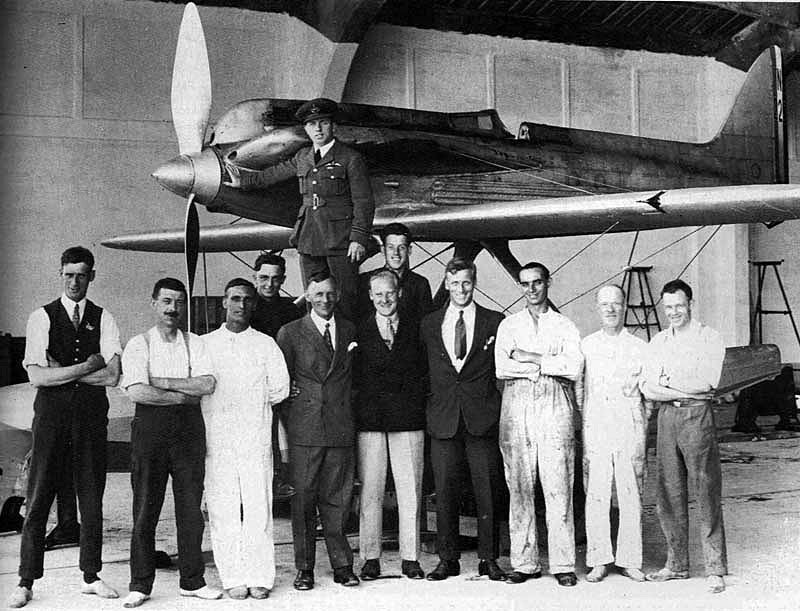 RAF Schneider Trophy Team at Supermarine's Woolston factory, 1927. Sadly, one Italian competitor was killed due to engine problems in a training flight before the race. The American aircraft was not up to the challenge and withdrew. 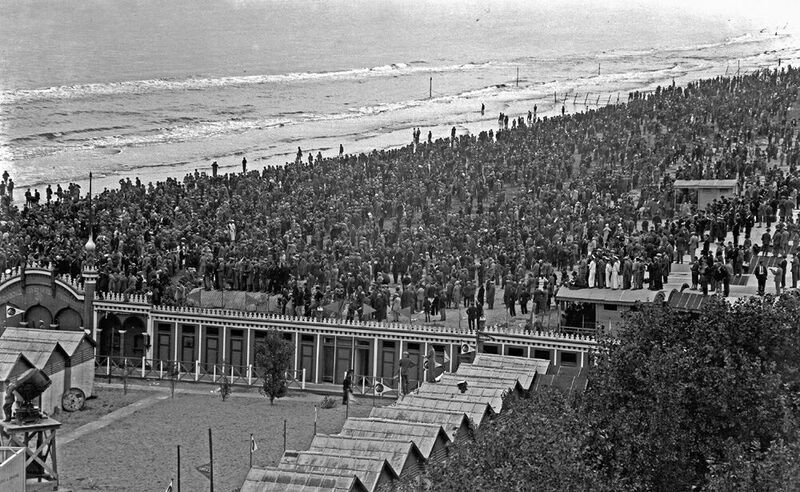 A section of the crowd along the waterfront of Venice for the 1927 Schneider Trophy Race. During a hair-raising race which saw the flying of the remaining Italian result in a broken fuel pipe, causing him to retire, Flight Lieutenant Webster won in style, watched by 200,000 spectators, flying his S5 at an average speed of 273.01 mph with a fastest lap record of 281.54 mph. Webster flying Supermarine S5 N220 to win the Schneider Trophy, 1927. 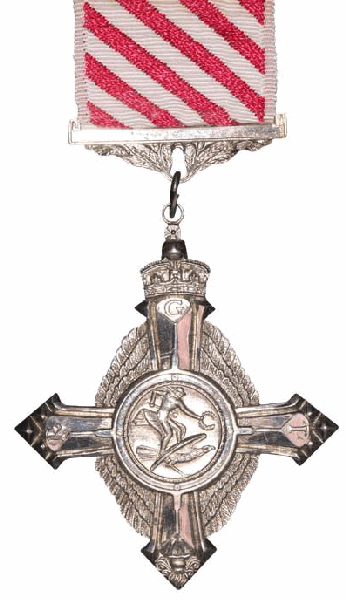 For this, Webster received a bar to his Air Force Cross, and congratulations from Walsall dignitaries and organisations plus his old schools – as well as from the King and the Air Ministry – but the greatest honour to come was back home. Bravo, Old Chuck! 6 October 1927. 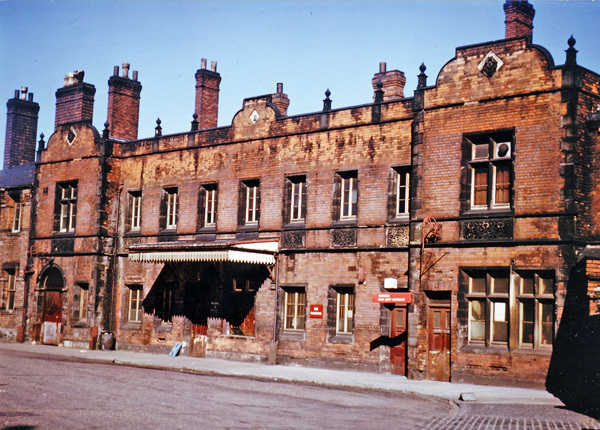 IN HIS HOME TOWN – British Pathe. 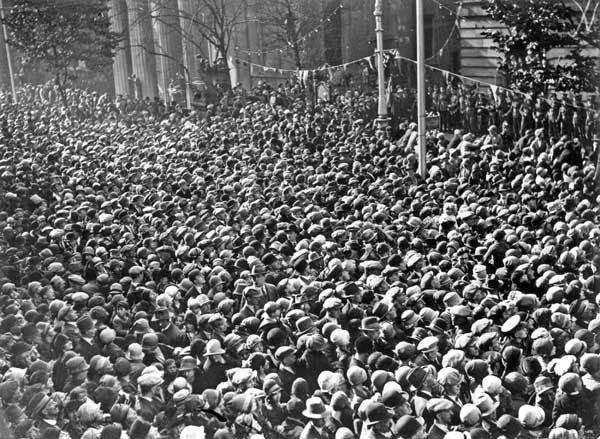 Walsall crowds outside the Council House to welcome home their hero, 6 October 1927. 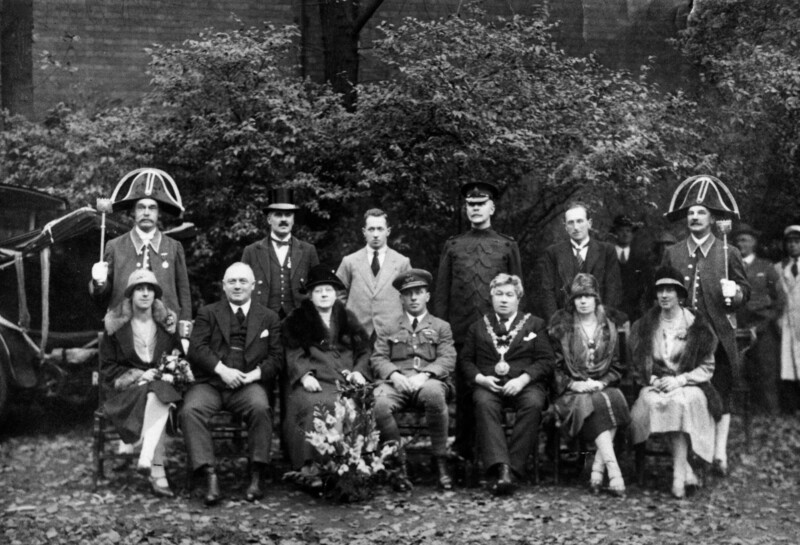 Before the reception, young ‘Pebbler’ stood proudly on a podium before the Council House, flanked by his mother, brother, the mayor and dignitaries, to receive a commemorative oak plaque from Alderman Leckie, and an illuminated address from the people of Walsall, who cheered him loudly and long. In 1930, Webster Road, just around the corner from Walsall Local History Centre, was named after him, and for some years there was a commemorative plaque in the street, but this seems have been lost over time. Webster remained in the R.A.F, progressing through the ranks of Squadron Leader, Wing Commander, Group Captain and Air Commodore in the 1930s-40s. In World War II, his experience as a test pilot was put to good use as Liaison Officer to the Aircraft Manufacturing Group, and in 1944 he commanded the Marine Aircraft Experimental Establishment, which had been moved to Helensburgh, Scotland, for the duration of the war. Mentioned in despatches in 1932 and 1945, in 1946 he was appointed a C.B.E. and Air Officer Commanding R.A.F. Hong Kong, later having two spells of duty at Coastal Command. Flight Lieutenant S.N. 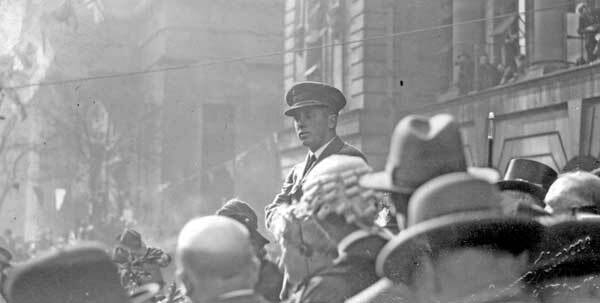 Webster (centre without hat), amongst the crowds on his return to England, 1927. Made an Air Vice Marshal in 1947 and retiring in 1950, Sidney Norman ‘Pebbler’ Webster died on 5 April 1984. He deserves to be remembered by Walsall folk as a local lad who reached for the sky, who put the town on the world map, who helped protect us throughout his remarkable flying career – and who exemplified British ingenuity, adventure and daring at its best. My name is Rosie Godfrey-Lockwood and I am Sidney’s biological granddaughter. My father is Paul Webster Lockwood born November 17th 1930 and I am flying to Hong kong on Tuesday for 3 nights and wondered if you had any information on where Sidney would have been based/address of his house? I would like to take a picture for my father who is now 80 abut have no real information. Thank you kindly for any help you may be able to lend, anything you may know. According to Wikipedia, the Royal Air Force were stationed in both Kai Tak Airport as well as the airfield in the New Territories known as Sek Kong. Later when the Royal Air Force withdrew from Kai Tak Airport, Sek Kong airfield remained the only RAF station in Hong Kong. The Wikipedia page gives dates of service for the various squadrons and a photo of the Kai Tak base in 1945, where I assume Sidney would be based – whether there is still anything there today, I don’t know. I hope this helps, and if you find anything, please do let me know! I’ll contact you again likewise. I’ll reply to you by email as well. Hi Stuart, another cracker mate. Hello, I too am an aviation nut, and I came across this article purely by chance. I used to have an old friend who has now long since passed away. He lived in Leeds and was introduced to me by my mother, who had met him in the course of her work as a social worker with the deaf. He had fought in the first war with the Manchester pals, after which and largely as a result of his interest in photography, joined the RAF as a public relations photographer. Before he died, he gave me several photographs he had taken in the course of his duties. 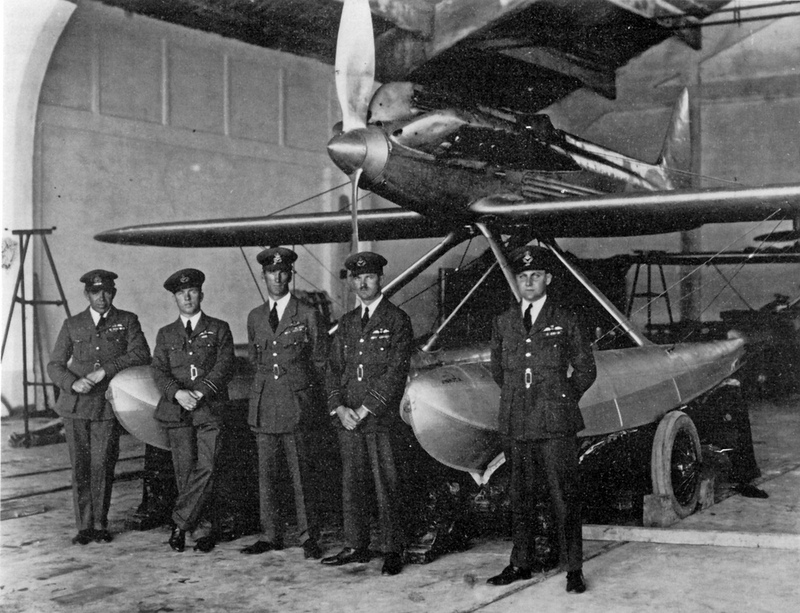 One of which is an original of the one above you have entitled “RAF Schneider Trophy Team at Supermarine’s Woolston factory, 1927”. It was actually taken by him on the Isle of Wight, he was so proud of it he made two copies. The first being intended for the “Napier engineering company” and the second for himself. As his copy would in fact have been legally “Property of the Crown” and therefore technically theft if he had taken it, he sent both copies to Napier accompanied by a note asking for one back. Napiers did the decent thing and sent it to him in due course. Therefore the first generation copy I possess is suitably entitled on the mount which was undertaken at the time, “To J.A. from D.Napier & Son. He then served on Lockheed Hudsons in the artic circle and took a camera gun shot of the first U Boat to surrender to a depth charge attack by an RAF aeroplane in the Second War (which he also gave me). Unfortunately some time later he was rendered almost totally deaf when a Hudson he had been taking photographic reconnaisance photos from blew up on landing (hence his aquaintance with my mum). He went on to be a very well respected wildlife artist and was at one point the curator of Leeds City museum. His name was John Armitage. Superb article. I became aware of this hero just a few short years ago. A shame his name isn’t as well known as sister Dora (although arguably her legacy and work was more important).